"The Galaxy Player 70 Plus appears to be a powered-up version of its 5-inch device from last year, side-stepping the design tweaks we saw last week on the Galaxy S WiFi 4.2 -- the other new (similarly long-winded) Android PMP from Samsung." 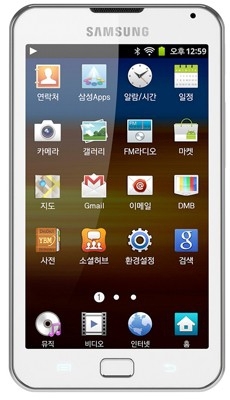 The Galaxy Player 70 Plus is another iPod competitor from Samsung. The hardware looks good for a media player with a 1GHz dual-core (I'm guessing it's an Exynos which is a good thing), 16 or 32 GB of storage, 5MP camera (probably not the front camera though it looks like it has a front camera), 5" display, and a generous 2500mHA battery. That battery should last quite a while since it's not powering any cell radio's. Apparently it's only available in Korea right now. What do you think? Is a dual-core, 5" media player a device you could in your collection?